Quite often I have clients lament on how difficult it is to bring their pet into the veterinary clinic. From the cat that won’t go into his carrier to the dog that tucks his tail and hides behind his owner as he approaches the clinic door, many pets develop a fear of the vet’s office. Perhaps it is the smorgasbord of overwhelming smells and sounds? Maybe a bad memory associated with a previous vet clinic experience? But no matter the cause, here are a few tips for helping your pet feel less stress at the vet. When possible, don’t feed your dog for two or three hours before bringing him to the vet. The staff of the clinic can use this to their advantage by offering treats to entice a nervous dog into an exam room or to calm them during a procedure like a blood draw or nail trim. The dog is more likely to be tempted by the treat if brought in a little on the hungry side. If your dog is particularly fond of a specific type of treat (my dog will do just about anything for a pork and apple Lil’ Link,) then bring a few with you. Reward your dog for his or her cooperation while at the clinic. Most veterinary clinics will gladly support a quick ‘pop-in’ to the clinic. Drive to the vet’s office, come in, say hello to the staff, and have them offer a treat or some scratching/petting, then leave! A visit when nothing traumatic happens—only warm fuzzies and a snack—makes great strides towards improving Fido’s opinion of the vet clinic. When driving to the vet, please keep the music in the car on the quite side. Nothing against heavy metal or loud booming bass, but studies have shown that classical music soothes both stressed humans and dogs. It doesn’t have to be Bach or Mozart specifically, but preferably something mellow. During my undergraduate job as a boarding kennel manager, I found the dogs would bark less when we would play music for them. Believe it or not, I had good luck with classic country music. (I’m not kidding!) I encourage you to experiment with what seems soothing to your dog. Nothing stresses a nervous dog (or cat) like an extended period in a loud and/or crowded waiting room. The longer the wait, the more amped up a pet can become. If you know your dog gets scared around other animals or strange people, ask the receptionist when you arrive if you may wait in an available exam room. A little privacy away from the chaos of the front lobby can help any escalating nervousness. Don’t worry; I’m not suggesting you buy some fashion-friendly shaping attire. However canine-specific compression garments such as a ThunderShirt™ have up to 80% success rate in calming an anxious pet. The concept is similar to swaddling an infant, with adjustable stretchy sides that offer gentle compression around a dog’s chest and forelimbs. Their initial use was for periods of stress such as firework shows and thunderstorms, but many clinics are now using them for patients to keep them more relaxed while in the veterinary hospital. And many many more! The Fear Free movement is just gaining momentum. I recommend—when possible—searching for a veterinarian who employs some of these ideas. By using these ideas both you and your pet will have a much more pleasant veterinary hospital experience. 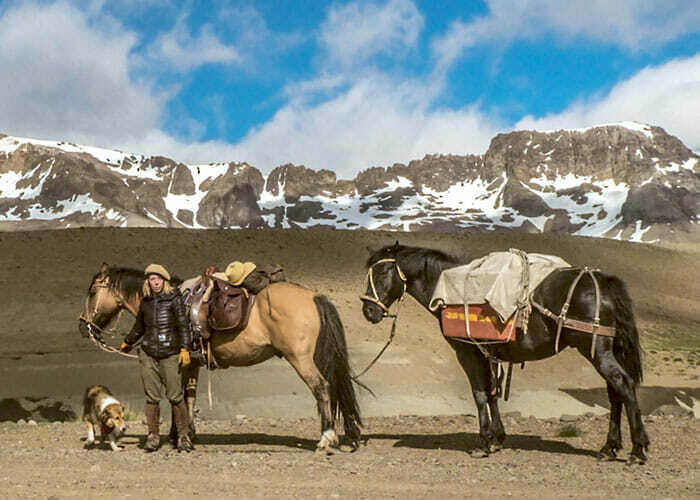 Jennifer Deming, DVM, is a practicing veterinarian at AspenTree Animal Caring Center in Durango and member of the American Academy of Veterinary Nutrition. She strives to improve her patients' wellness through nutrition counseling and preventative medicine. 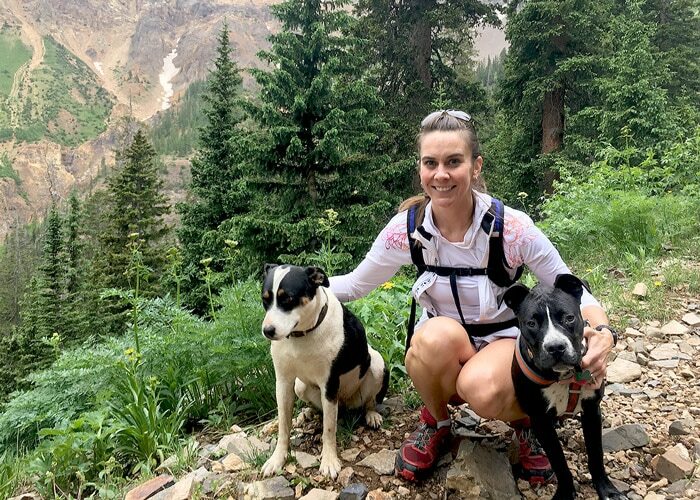 When she’s not at the clinic, Dr. Jen enjoys trail running, gourmet cooking, hiking, and enjoying all things Durango with her family—including cats Fujita and Toonces, and dog Leia. 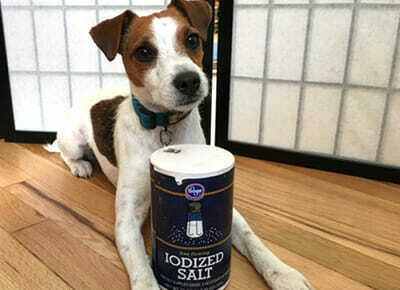 Why is Salt Used in Dog Food and Treats? 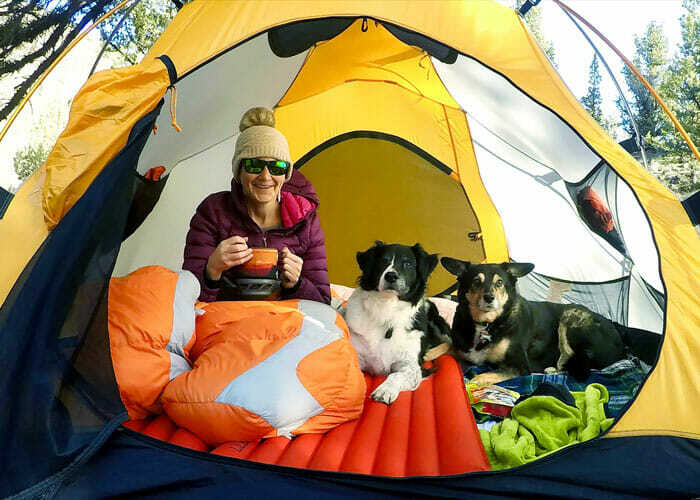 Which Camping is Best for Your Dog: Backcountry Camping, Car Camping or “Glamping”?